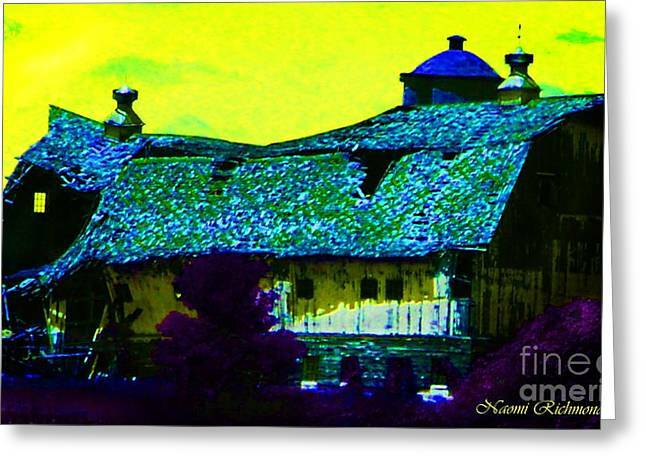 Old Wisconsin Barn is a photograph by Naomi Richmond which was uploaded on January 20th, 2013. While visiting my son in Wisconsin, I spotted this collapsing barn. We stopped to take pictures to use as reference for a painting. The farmer came out to see what we were doing. My son told him, "My mom wants to paint your barn." The farmer gave us a quizzical look and said, "But it's falling down." Trying not to laugh, my son replied, "No, she wants to paint a picture of your barn." 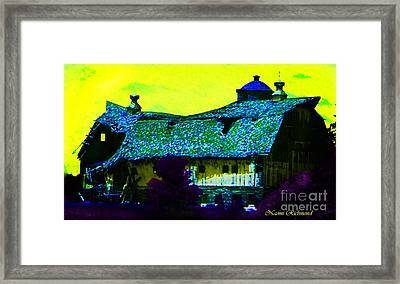 We chuckled the rest of the day trying to picture me on a ladder painting this old barn.This barn is located in Jeffeerson County, Wisconsin. Thank you Mary, I'm just discovering different processing. I grew up in Wisconsin (Madison) and still have many relatives there. 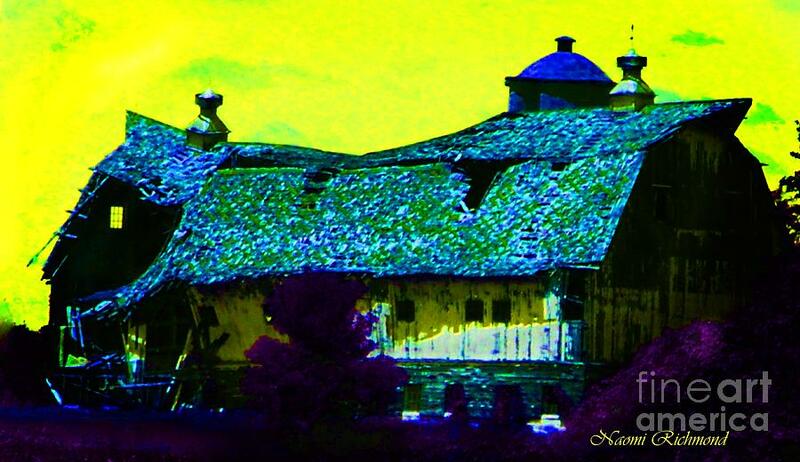 There are so many wonderful old barns there. When we stopped to take pictures of this one, the farmer came out to see what we were doing. 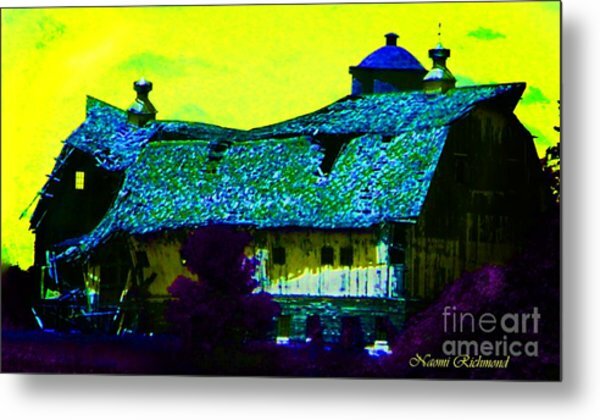 My son said to him, "My mom wants to paint your barn." The farmer gave us a quizzical look, then said, "But it's falling down." Trying to keep from laughing, my son replied, "No, she wants to paint a picture of it, she's an artist." We chuckled the rest of the day trying to picture me at 62 years old dragging my oxygen tank up a ladder to "paint" this old barn. Very colorful, I love these old barns of Wisconsin! Thank you Linda. I love them too, they have so much character.